When designing a data center there are more things to think about than just simply putting servers and racks in a room and naming it the data center. There are steps that can be taken to be sure that the data center is well designed and efficiently runs. A properly designed data center will be reliable and dependable for a company and all the network users. Planning ahead is the first step. Failure to do this could result in mistakes down the road. Consider all the possibilities of what can go wrong and plan for all outcomes to keep everything running smoothly. Planning for the worst scenario that can happen will help to eliminate headaches when these problems do occur. Acts of God must also be considered as well as internal network issues. So by utilizing a solid plan when designing a data center, numerous problems can be minimized, if not eliminated completely. The best design for a data center is a simple one. If a problem does occur and the system is easy to manage, then the problems will be fixed much faster and will minimize the loss in downtime for users. Keeping in mind that technology is advancing at an incredible rate and always will it is vital that maintaining flexibility in design will also allow for the necessary room that the center will require adapting to technology changes and upgrades in the future. Utilizing standardized sections will also make it much easier to construct a data center. When servers need to be added or upgrades need to be done, it will be much easier to know what is needed and how it will all fit together. Keep in mind that servers are heavy and preparation for housing them is essential. Flooring underneath heavy servers can crack or even cave in if it is not supported properly in the infrastructure. Having a contractor check the integrity of the floors prior to placing them in the intended space can save hours in labor and heartache in the future. Consider installing aluminum flooring if using a raised floor. This will also prevent damage. Aluminum is stronger than ceramic or plastic tiles and can handle the weight of the equipment in the data center more effectively. It is an important step to take the time in the beginning of the design of the data center to label all cables and cords. Unfortunately many people overlook this step and then are unsure of which cables go where and end up wasting hours and hours of time trying to figure out which cable goes where. Having to pull up a floor just to find out where a certain cable is plugged into is a waste of time and company resources. Safety is vital as well in regards to the data center. In order to prevent accidents, it’s important to keep the data center clutter free and out of sight of the general public. People will not tamper with something if they do not know it is even there. 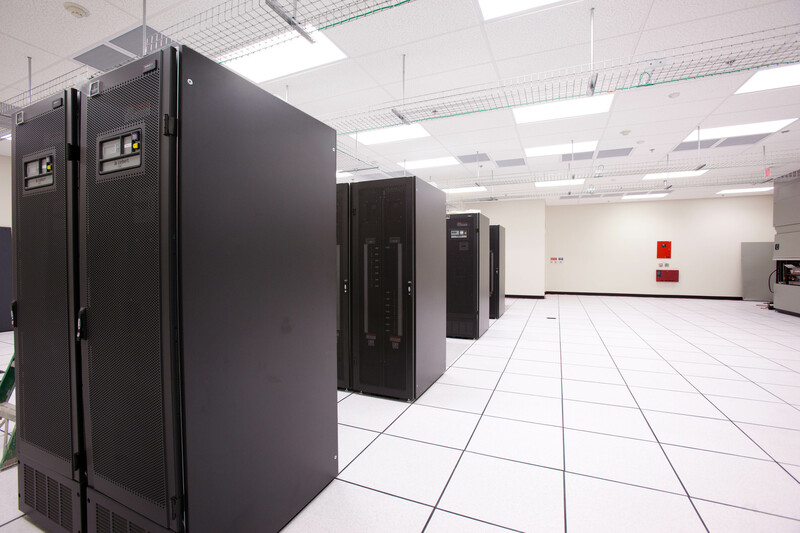 Keeping the equipment properly cooled is another crucial step in designing a data center. When an optimum temperature is maintained, the computers are able to keep working smoothly and do not get overheated. Certain electrical components produce heat that can be detrimental to other nearby devices, so good air conditioning and the proper ventilation are absolutely imperative when designing a data center. By installing an air conditioning system that is mounted on the ceiling of the room instead of the floor, designers can save valuable floor space. Plus it will allow for the installation of free cooling servers that will emit cold air to keep the front faces of the servers cool. By keeping these tips in mind when designing a data center can help optimize efficiency and ensure that problems are kept to a minimum. This entry was posted in Computer Room Design, Data Center Build, Data Center Design, Datacenter Design, Titan Power and tagged computer room design, Data Center, data center design, data center design company, scottsdale data center design, Titan Power. Bookmark the permalink.